The Cornish Riviera Express was, in the days of steam, the most famous holiday train in the country. 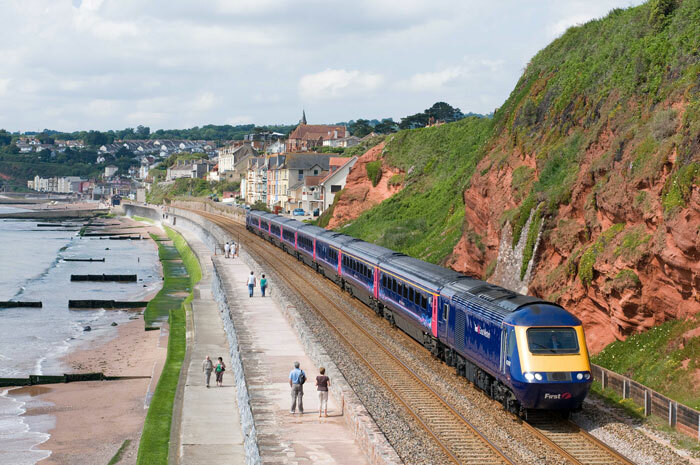 Children from nine to ninety eagerly awaited departing Exeter and clinging to the Exe estuary before the drama of speeding alongside the sea wall through Dawlish knowing that your holiday had really begun. Although no longer with steam, this spectacular journey is a wonderful introduction to our tours: Devon Riviera by Steam, Classic Cornwall Coast & Country, Cornwall Coast to Coast & Poldark Country and Devon Coast to Coast & West Somerset Steam. Festive Highlands More Inclusive tours. When I first made this journey over three decades ago, following Michael Palin's original 'Great Railway Journeys of The World' TV series, I fell in love with a railway journey! Climb high above the tree line onto the great plateau through Achnashellach and Achnasheen, then descend for the coastal journey through Plockton into Kyle of Lochalsh, overlooking the Isle of Skye - simply the most memorable of rail journeys. Viewing the great herds of wild deer on the evening journey back to Inverness was the icing on the cake. You too can experience this most romantic of rail journeys on our short breaks Highland Rail Voyager, Grand Tour - Derry To Kerry and Romantic Highlander tours. 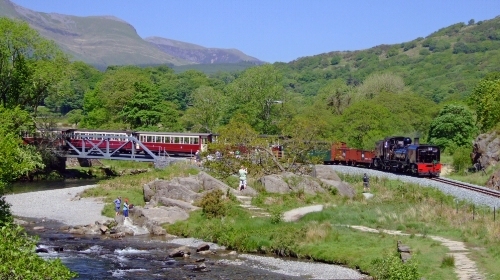 The newest of the UK's great rail journeys is the Welsh Highland Railway from Caernarvon through the Aberglaslyn Pass, in the Snowdonia National Park. This narrow gauge line is the longest in Britain and whilst the trains may be small the vistas are immense; enjoy it - and many more lines - on our tour of Wonderful Wales.